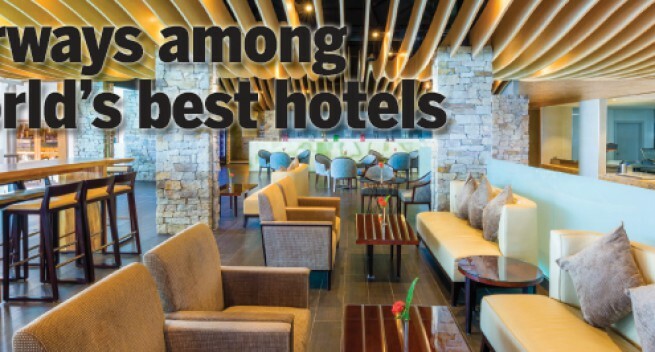 PAPUA New Guinea’s Airways Hotel has been included in best hotels of the world list. 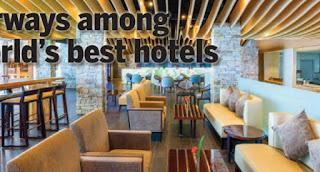 The Airways Hotel in Port Moresby has been named fifth in Huffington Post review of top hotels. The Huffington Post contributor, travel pioneer and ‘father’ of modern adventure travel, Richard Bangs, has published "Richard’s picks, best hotels in the world, Fall 2016" (14/10/2016). In the travel review, he lists the top 10 hotels he’s experienced, selected for "being special, extreme in coziness, service, and that ineffable quality of heart." Airways Hotel of Port Moresby is listed fifth. According to Bangs, Papua New Guinea is a special destination; he says "…a country as diverse and bewitching as any on earth." He continues, "…things have improved, and along with it, the signature hotel in the capital, The Airways, an oasis just a stone’s throw from the airport. "It is at once luxurious and whimsical, with a DC-3 Dakota aircraft set into the side of the hotel, and lobby decorations crafted from fuselages. The Vue restaurant, near the infinity pool on the 7th floor, has been renovated and offers brilliant food (and fresh coconut water), with a delectable view of the Owen Stanley Ranges, Bootless Bay and the nearby international runway. "Set in a hillside in a secure, park-like setting, some 200 species of fruit color in the lush botanical gardens, among a staggering array of native orchids. Vaporizers on the ground floor fill the open spaces with a divine aroma, and if that isn’t appealing enough, there is always the cigar bar… I asked for a late check-out just so I could hang about this sanctuary a little longer." "We are delighted to receive this accolade from one of the world’s top travel writers, and on one of the world’s most-read websites," said Sushil Gordon, general manager at Airways. "It will inspire us to maintain and increase our standards as PNG’s leading hotel. It also shows what we can all achieve in PNG if we remain committed to excellence." Airways Hotel is located minutes from Jackson International Airport. It is a five-star hotel, popular with business travellers. It features a full-service business centre, in-house custom tailor, state-of-the-art health and fitness centre, and a spa complex. Airways Hotel offers a range of accommodation options for business and regular guests. It provides a variety a dining and bar choices and menus, including fine dining at Bacchus Restaurant, buffet and à la carte dining at Vue Restaurant, an Italian delicatessen-bistro, café and an old-fashion cigar bar. For consecutive years, it has received the World Luxury Hotel Award, World Luxury Spa Award and World Travel Award, Australasia’s Leading Airport Hotel.